NEWCASTLE, UK: Northumbrian Water Group (NWG) continues to demonstrate that collaboration is essential to successful innovation. 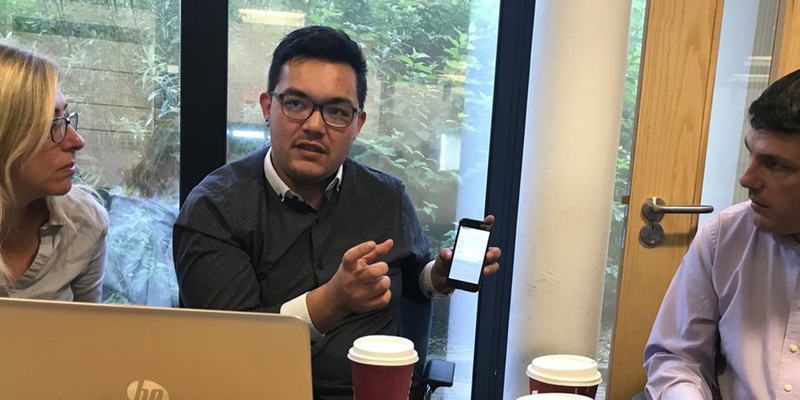 Working with +ADD Strategy (+ADD), an agile innovation partner that specialises in solving hard problems, the team have won an international WaterAid competition focused on improving hygiene awareness and education delivery for rural communities in Nicaragua. The initiative saw the development of a mobile phone app designed to improve field operations and replace paper-based water, sanitation and hygiene (WASH) training tools with an interactive and engaging digital experience. The app won Best Solve – Hygiene (Europe and North America) category in the WaterAid competition. Steve Rudland, Business Intelligence Developer at NWG explains, “The Water Aid Winnovators challenge is an employee development programme designed to solve real world problems and fundraise for this important NGO. The aim of the hygiene challenge is to improve personal hygiene in rural towns, including safe water storage, handwashing and sanitation practices. Fiona Urquhart, Service Excellence Specialist at +ADD said, ‘Personal hygiene is a very sensitive issue, which makes promoting best practice in communities challenging for local volunteers. It was important to the team that the app enabled a shared and comfortable experience with residents through a shared screen approach. The app developed by the partners was designed to be as simple and visually appealing as possible. It also had to work on Android devices, which are widely used in Central America, and to function offline so that data can be recorded when there is no signal for upload later. Carl Jones, Director at Nutshell Apps said, “Nutshell is a no-code platform that makes going mobile much easier for businesses. Paul from +ADD invited us to get involved. “We put together the workflow with them, then handed over the platform for development the app prototype. Nutshell is incredibly proud to be part of this project knowing how immeasurably vital mobile technology is for solving diverse challenges in the developing world. The turnaround for the project was rapid, with the process taking just eight weeks. Winners of the Winnovators challenge were announced at a ceremony on 19 October 2017.